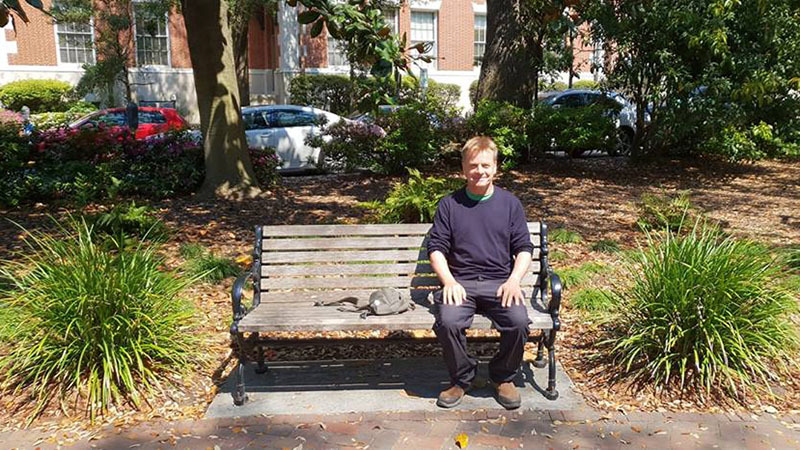 This is Chippewa Square in Savannah, where Forrest Gump perched in that iconic scene at the end of the Oscar-scooping 1995 best film (it pipped Pulp Fiction). The bench is not the original one but the setting is the very same. My Gump pose is not at all convincing but, to be fair, my freshly shorn Tom Hanks hair is spot on. This was the end of Forrest’s journey and is the end of my coast to coast walk across America. I wanted to march on to New York but, though I’m allowed back into the US for another month, it’s not enough time. I could easily apply for a longer US visa in the UK, but I’m keen to crack on and, as I’ve already completed the necessary mileage in America, I’m going to kick off the European leg pronto: must keep the momentum going. To do this, it’s best to strike off from either the west coast of Portugal or the west coast of Ireland. I’ve plumped for Ireland and am now en route to the little coastal town of Dingle and hope to start walking on Monday. I’m watching some old Father Ted clips to warm up. Though I will really miss America, I can’t wait to embrace the Emerald Isle. Traversing the States on foot has been a challenging, wonderful experience and made me realise more than ever that we need to channel our inner Gump. The reason FG was such a hit, in my view, is that Forrest was completely at sea, bamboozled by our fast changing and increasingly complex world. We can all relate to this. Rather than rail against his lot, simple minded Forrest takes on life with gusto and good grace, sometimes disastrously, sometimes triumphantly, though never at anyone else’s expense. His chief quality, other than his running stamina, ping pong prowess and a beard that could house a family of badgers, is his kindness. In these chaotic, anxious times we all need fresh role models. We could do a lot worse than Forrest Gump. Run! (insert your name!) Run! Or, if you are an old geezer like me, Walk! Cheers for reading and to all of you across America – you know who you are – who have been so generous and big hearted, THANK YOU!